As we all know, carrying of charger all the time is not ideal and sometimes could be frustrating especially when you can’t find source of power to plug your device due to NEPA (PHCN) Wahala. In this post, we will be looking at five (5) smartphones that comes with massive battery capacity. Some of this device comes with a huge battery capacity that you can use them for a whole week with plugging them into power supply. Below are the device. This device also features a massive 10000mAh battery capacity. Just like the K10000 Pro, K10000 Max also comes with a 5.5″ FHD displays, 3GB RAM and 32GB of storage. The device runs on MT6753 and also it is waterproof, dust-proof and anti-drop. Oukitel K8000 is another smartphone from Oukitel which features a massive battery size. This device rocks a 8000mAh battery capacity and its regarded as the world’s second largest battery smartphone. The device though not officially released but according to the company, Oukitel K8000 can support about 5 days of use. Gionee M2017 is a 6GB RAM and 128GB internal storage device from Gionee. The 5.7″ 2K screen device packs a 7000mAh battery capacity with Qualcomm’s Quick Charge 3.0 support. This feature means the device do not take much time to charge. It is powered by a Snapdragon 653 octa-core processor and runs on Android 6.0 Marshmallow. 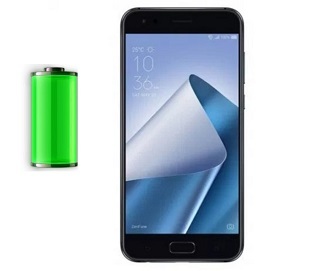 As you may have noticed on the post, Oukitel device such comes with huge battery capacity and one of these, is the Oukitel K6000 Plus which features a 6080mAh battery capacity. The device come with a 5.5″ FHD display, 4GB RAM and 64GB of storage. It is powered by a MT6750T SoC and runs on Android 7.0 Nougat.